Central Roofing, Siding, and Windows Co.
Central Roofing, Siding, and Window's Co is the DC area's premier exterior remodeling contractor. We have been serving Washington DC and Maryland with our family owned and operated business since 1956. We have installed literally thousands of top quality roofs, siding, windows, and gutters in our area. We are consistently the highest rated contractor on the BBB, Angie's List, and Google Reviews. We strive for top notch customer service and always treat every home like we are working on our own homes. At BRAX, we pride ourselves on providing the best exterior home service to our customers. We specialize in roofing, siding, windows and doors. We offer high-quality products and installation customized for individual homeowner needs. As a small business serving Montgomery County, we have have the experience and willingness required to ensure a job well done. Our team of product specialists, project managers and installers are the best in the business. Our goal is your goal. Whether it involves replacing your roof, boosting your home's energy efficiency or adding curb appeal, we ensure your complete satisfaction every step of the way. To help us ensure satisfaction, we ask all customers to complete a survey through GuildQuality after project completion. Every time a customer confirms 100% satisfaction, we reward our employees for their exceptional teamwork. With BRAX, you have our team on your side. Give us a call or book your free consultation today. 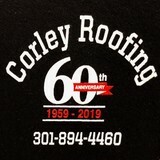 Established in 1959 and incorporated in 1979, Corley Roofing is a family-owned and operated business. John A. Corley with the support of his wife Dorothy established and rooted the company and its values. President, John Corley, and Vice President, Rick Corley, manage and administrate the day-to-day operations of the company. As one of Washington Magazine's "Home Contractors You Can Trust" & "One of the Best Roofing Companies in the Washington DC Area", we provide a variety of services, ranging from roofing and siding to gutters and chimney services! 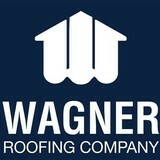 We are happy to serve residential and commercial roofing needs in Maryland, Washington, DC, and Northern Virginia. 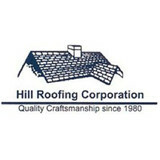 What do roofing companies in Colesville, MD do? Your Colesville, MD roofing contractor can install a new roof or repair an old one, as well as repair and replace gutters. Good roofers in Colesville, MD should be able to promptly inspect roofs and gutters to assess damage after a natural disaster or other event, and give you an estimate for the necessary roof repair immediately. Some Colesville roofing companies specialize in specific types of roofs, such as tile or metal, so make sure the one you are interested in works with the materials you have or desire. Find a Colesville roofer on Houzz. Narrow your search in the Professionals section of the website to roofing companies in Colesville, MD. If you’re planning a large-scale project, find other professionals on Houzz who can help get the job done. Here are some related professionals and vendors to complement the work of roofing & gutters: General Contractors, Specialty Contractors, Siding & Exteriors, Door Sales & Installation, Garage Door Sales & Installation.